The Brice, Kimpton Hotels & Restaurants’ newest hotel and only in Georgia, held a grand opening event on Wednesday, July 9 at 5:30 p.m. The 145-room hotel, located in the heart of Savannah’s historic district, hosted an array of surprises throughout the evening that encompassed the event’s ‘Southern Serendipity’ theme. Entertainment included equine vaulting – the practice of gymnastics and dance on horseback – by Blue Star Vaulters and Presto the canter horse; self-guided tours of the hotel’s guest rooms and public spaces, including the open-air Secret Garden and meeting space; and street musicians. 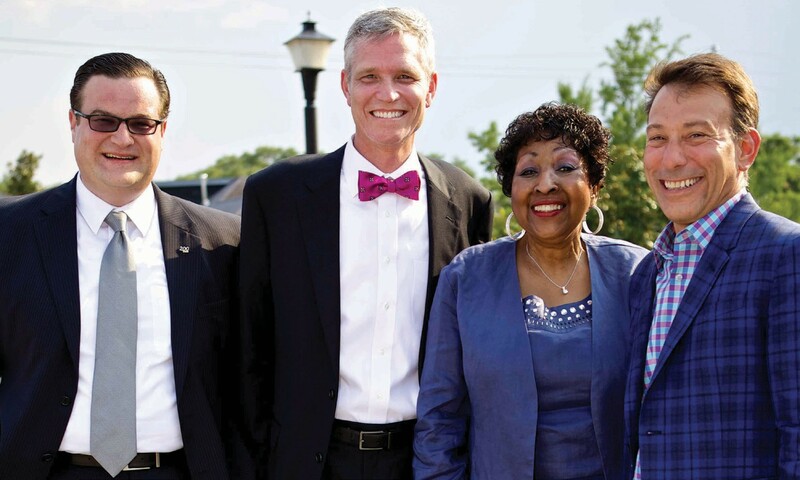 Speakers included Kimpton senior executives and management from The Brice: Edna Jackson, City of Savannah Mayor; Mike DeFrino, COO of Kimpton Hotels & Restaurants; Mitch Linder, General Manager of The Brice. For more information, please visit www.thebricehotel.com or call (404) 578- 8702 or (678) 773-9728.